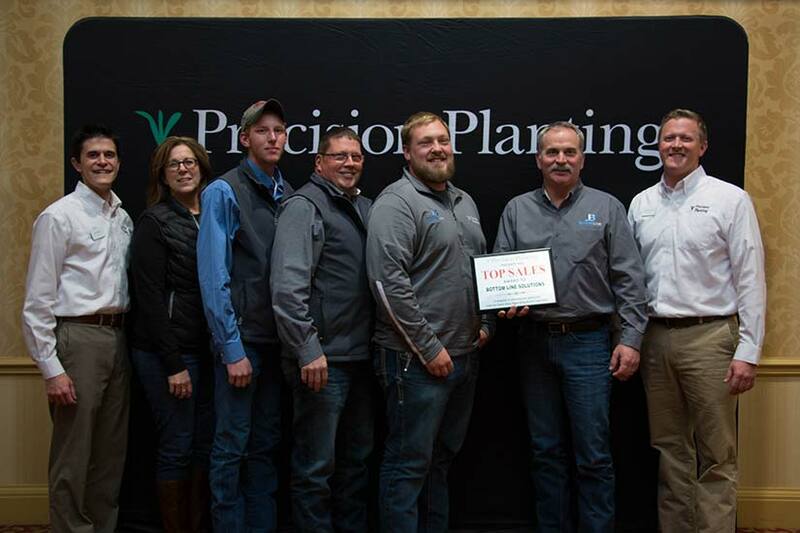 Bottom Line Solutions was recognized recently at a Precision Planting National Sales Meeting for Top Sales Volume performance during 2017. “Winning this award means that Bottom Line Solutions is not just a Premier Dealer, but is among the top 10% of our 400 dealers in the United States,” says Justin Kauffman, North American Sales & Marketing Lead for Precision Planting. Precision Planting is the industry leader in precision agriculture technology solutions and develops products that improve the planting process. Precision Planting is known for its unique and innovative approach to addressing agronomic issues facing growers and for providing practical solutions for improving yields. The company is represented in the continental United States by a network of over 400 dealerships, and provides technologies to agricultural equipment manufacturers around the world.